I met designer and CEO of DR Acoustics Daniel Robidoux while covering the Montreal Audio Fest earlier this year. He was one of the few courageous enough to put his product to the test in front of a live audience, with A/B comparisons of his power cables against stock AC cords. The differences were obvious and stunningly positive in his favour. 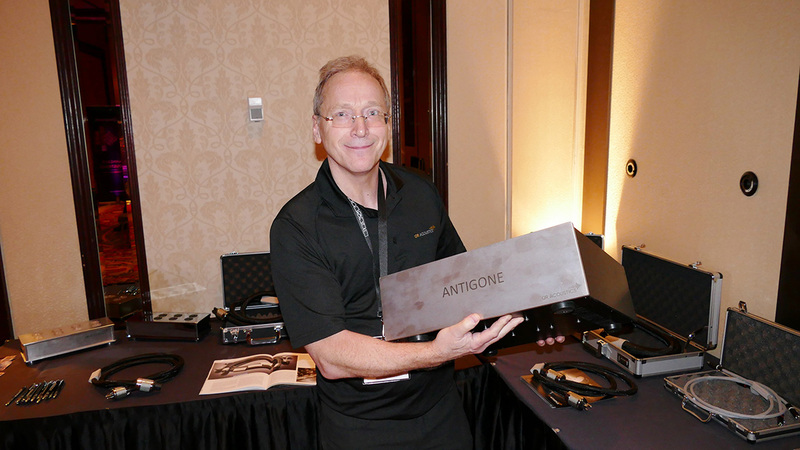 Among his impressive collection of audio wares there was a fresh new product called Antigone, a power line management device that looked built like a vault and embodied a fairly radical approach compared to the mainstream. DR Acoustics are based in Montreal/Canada and utilize a hybrid distribution model of dealer network and Internet direct sales with free shipping to the US and Canada. Originally an audiophile skeptic, Mr. Robidoux brought 21 years of extensive experience in the multi-faceted world of telecommunications engineering to the audio game. He applied an additional three years of intensive research into conductor theory before bringing his own products to the market in 2015. Employing top material and parts, his offerings aim at the top-tier audiophile crowd but eschew boutique mystique for solid engineering. Fit and finish are to premium standards befitting lofty price tags and performance levels have quickly garnered critical approval in the consumer and professional communities. These goods are built to perform and last. All carry a 20-year warranty. 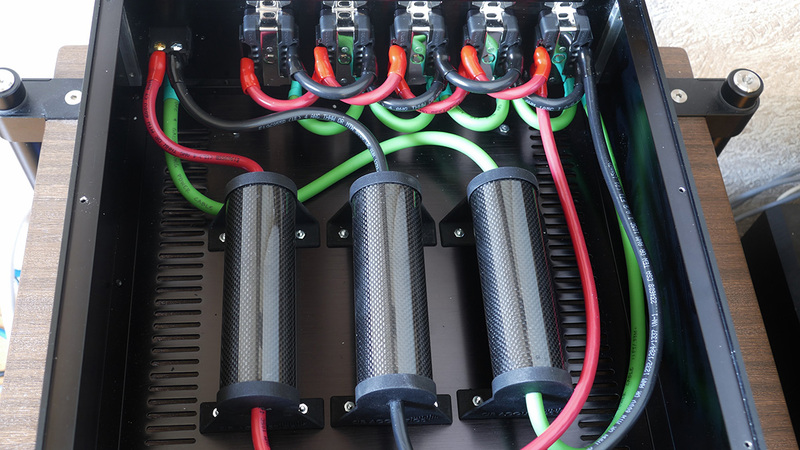 The Antigone powerline conditioner goes against the established grain of those power management boxes which brim with active circuitry. Mr. Robidoux opted for a strictly passive design with no coils, caps, fuses or breakers to prevent current limiting and any chances of compromises created by an active design. He believes noise is the number one enemy of the AC chain followed by vibration so the Antigone represents an assault on that same noise and mechanical resonance. To those ends, this conditioner employs a variety of techniques and materials, using "micro quartz chamber isolation system technology, ASSITS vibration control subsystems (built around the quartz-filled carbon fiber tube) and an individual phase filtration system". Receptacles are high-grade Furutech Rhodium-plated pure copper infused with nano crystals which are point-to-point wired with 4-gauge ultra-pure cryo-treated copper. 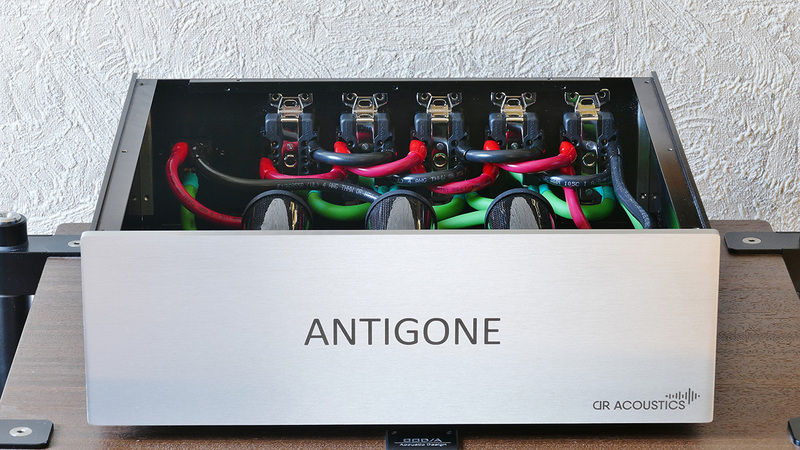 The Antigone is designed to handle the power requirements of big audio rigs by delivering max instantaneous current of 360 amperes. It features ten Nema 5-20 AC outlets and a 20-amp power inlet which requires 20-amp AC cable connectivity and a 20-amp wall outlet. Dealers normally sell a 20-amp Furutech duplex GTX NCF with the unit we're told.